I think the reason I stalled on blogging is because I wanted something really “meaningful” to share. I wrote several pieces but never posted them. When I began posting I ended each entry with suggestions for you to play and framed each post to mirror my book. What I am encouraging you to do, and need to remember for myself, is “Just do something!” Forget the end product and play with the process of creating. 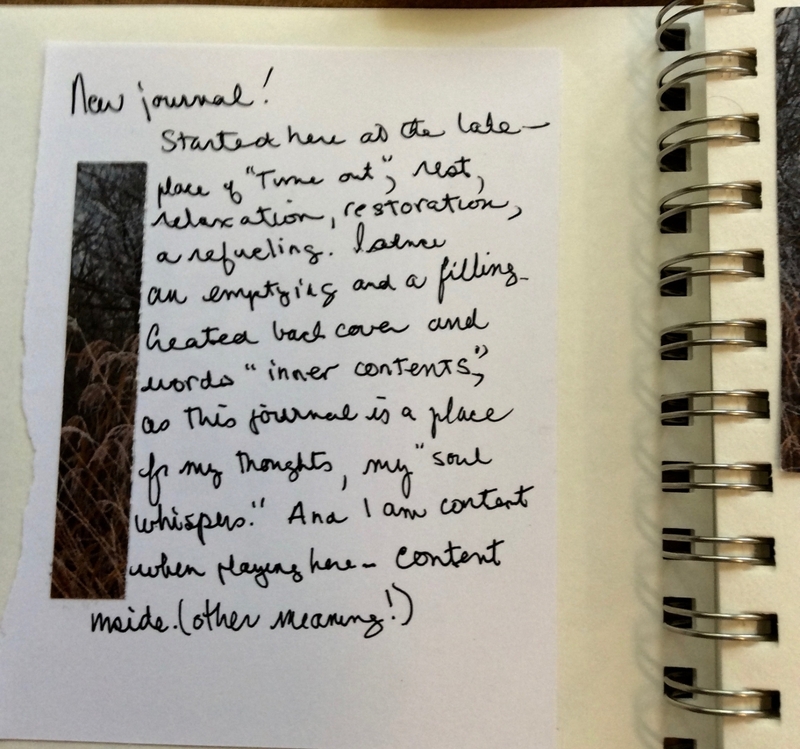 So in sharing my journal process I hope to model that “letting go” aspect. Let go of expectations; let the process lead you. I am letting go of the format I started out with. I had set up a rule of “be consistent” which restricts spontaneity. 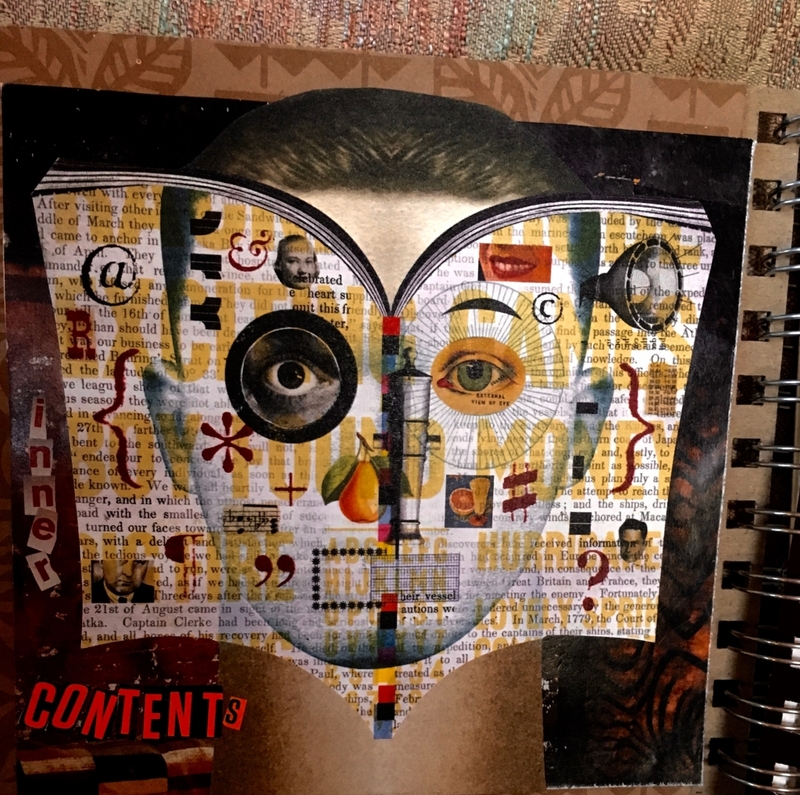 With these journal postings you will see that each page is very different (consistency thrown away) but each provides a focus for a conversation with my inner contents. I actually began doing these small journals to be sure that I just “did something.” I never seemed to have enough time but these are very doable and satisfying to complete in a short amount of time. Also I gave myself permission to use any materials at hand removing the excuse that my “good” art supplies were elsewhere. 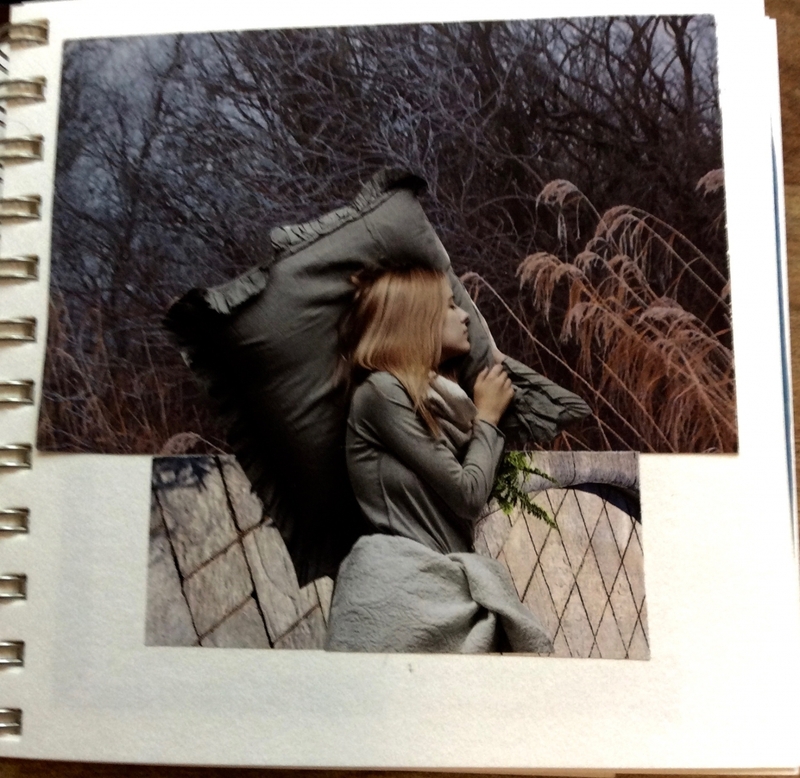 I can do these in a motel room using the insides of envelopes and tourist magazines. I travel with a glue stick and scissors!